Congratulations to this year’s sports scholarship winners Holly & Luke Gardner and Jordan Berry! 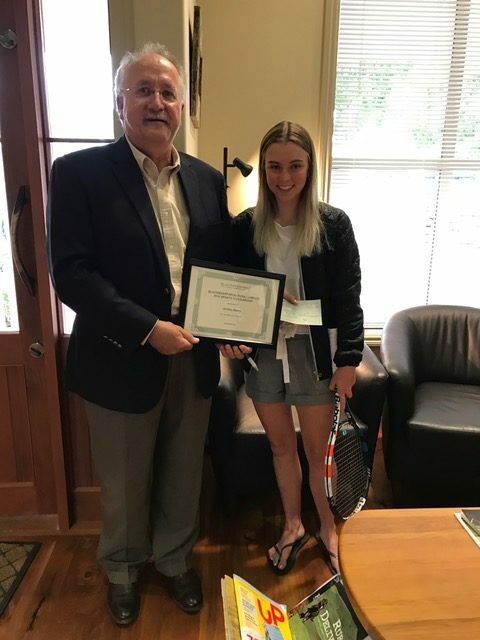 Two applicants, brother and sister, Luke & Holly Gardner, were awarded $500 for excellence in climbing, and Jordan Berry, $500 for excellence in tennis. Holly (14) & Luke (12) are competing at national level in indoor climbing. Holly is ranked third in New Zealand for bouldering and secured a bronze at the national championships for climbing. 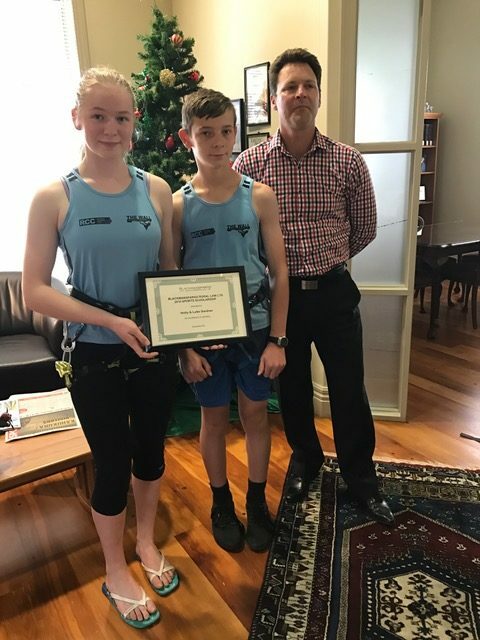 Luke is ranked first in New Zealand for climbing and also secured two golds at the national championships for climbing and bouldering. Both Holly and Luke will be representing New Zealand in Noumea next year. Jordan (15) competes at national level in tennis. In 2016, amongst other awards, she won the secondary schools individual tennis championships. Jordan will begin 2017 competing in the 16U New Zealand Junior Championships followed by the ITF, both in Christchurch. Last year, she spent a month in France, playing tennis and experiencing the French culture. The highlight of her trip was winning the TC Parempuyre tournament in Bordeaux. We are really happy to be able to support these young sportspeople and look forward to their success in the future. Further information will be provided for future applicants for the sports scholarship at the end of 2017.